Preservation of new wood is far more cost effective and easier than treating wood with decay problems afterwards. 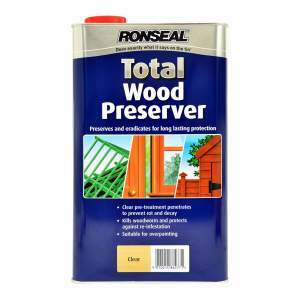 An attack of dry rot, wet rot or woodworm can be prevented by using efficient wood preservers on new wood. Outdoor timbers are especially liable to decay and often the only reliable way to preserve them is when they are being installed. 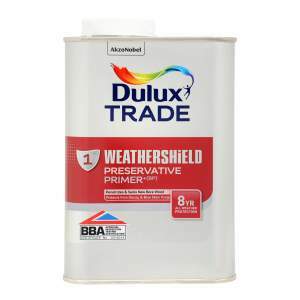 Paint protects the surface from the weather but does not preserve against fungus attack. Outdoor timbers are especially liable to decay and often need to be preserved when they are installed. All timber surfaces should be treated. 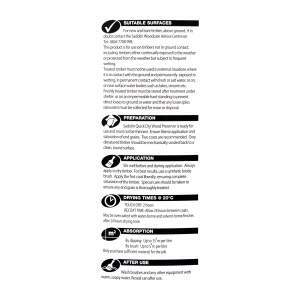 It is essential that all surfaces are treated. The deeper the preservative penetrates the wood, the more effective it becomes. 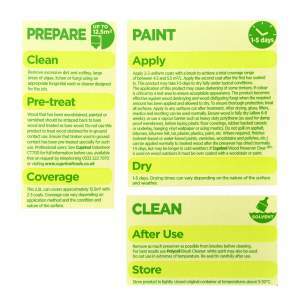 This can depend on the method of application and on the composition of the preservative. Most preservatives are carried in an organic solvent, which enables them to penetrate easily and readily into the wood. Owing to their high degree of efficiency they can be applied by methods like brushing, spraying or dipping and are suitable for application on building sites, farms, estates, industrial areas to name but a few. When wood is used where it is frequently damp, preservation is essential to prevent decay. Examples are fence posts, window boxes, sills, timbers in contact with brickwork without an effective damp proof course, timber in farm buildings in contact with manure and silage, and timber used for bridge work, marine or river piling. There are further situations where the risk of decay or insect attack is less likely but there is still a significant risk and the preservative treatment may be regarded as a worthwhile insurance against the cost of subsequent repairs. Normal roof timbers, tiling battens, wall plates, flat roof joists that are not enclosed, ground floor joists, etc are a few examples. 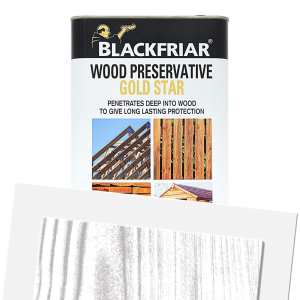 All timber should be dry and free from bark, paint, varnish and other surface coatings. All surfaces must be treated. 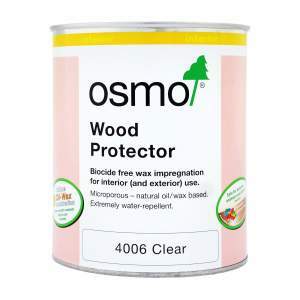 Most preservatives are carried in an organic solvent which enables them to penetrate into the wood. Penetration of the grain is important. Two or more coats should be given, the later coats to be applied before the preceding coats are dry. A large brush should be used and the liquid should be flooded on to the wood in a flowing coat, not brushed out like paint. Penetration of the end grain is most important and preferably the timber should be treated while standing in a bucket or tank containing the liquid. The surface of the wood should be flooded with each coat, and two or more coats should be applied as in brushing. For the treatment of timber generally, a very careful adjustment of the spraying equipment is necessary to obtain. All timber should be dry and free from bark, paint, varnish and other surface coatings. satisfactory results. A low pressure and a suitable nozzle must be used so as to avoid production of an atomised mist/or bouncing fluid off the wood surface. This is, in every way, the most effective of the simple methods of treatment and should be employed whenever possible. For building timbers in new houses, dipping for three to ten minutes will be sufficient. When timber is to be used for replacement in the case of dry rot, a longer immersion should be given (up to ten minutes). Where wood is to be used in contact with the ground, for example, fence posts, soaking for one hour or more is advised. If it is not possible to soak the whole length of the timber, the part going into the ground plus some 15-30cm (6-12”) above should be given this prolonged treatment and the remainder thoroughly brush treated. 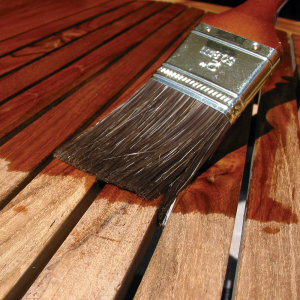 Where wood that has been dipped or soaked is later cut or trimmed, it is essential that the exposed parts are liberally brush coated or re-dipped. For more information on products as well as Brewers News and events join the conversation on Facebook and Twitter.